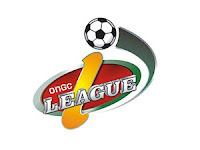 After successfully hosting the group A qualifying matches of the I-League 2nd division, it is now the turn of the same host to carry the final round matches. So a month-long non-stop football bonanza is waiting for football loving fans of Bangalore. I-League CEO, Sunanda Dhar, in his last month visit during the ongoing Group A qualifiers suggested the probable venue could be either Delhi or Bangalore. The latter was favored because of the better weather conditions during summer. 6 teams from 3 groups who have qualified from the previous round plus last years I-League 1st division relegated team Mohammedan Sporting and Vasco will be playing in the round robin format. The matches will be played from April 30 thru May 25. Malabar United and HAL have been qualified from Group A, Sesa Football Academy (Goa) and ONGC (Mumbai) have been qualified from Group B, and NISA (Manipur) and Oil India Limited (Assam) have been qualified from Group C.
Each round consisting of 4 matches will be played in 2 days time. There will be a rest of 2 days between each round. Match timings are not yet confirmed by the AIFF. But looking at the way it was followed during the qualifying matches, the first match of the day will be played at 2 pm followed by the second match at 4 pm. All the matches will be played in the Bangalore Football Stadium.